The more you upgrade the more you save! 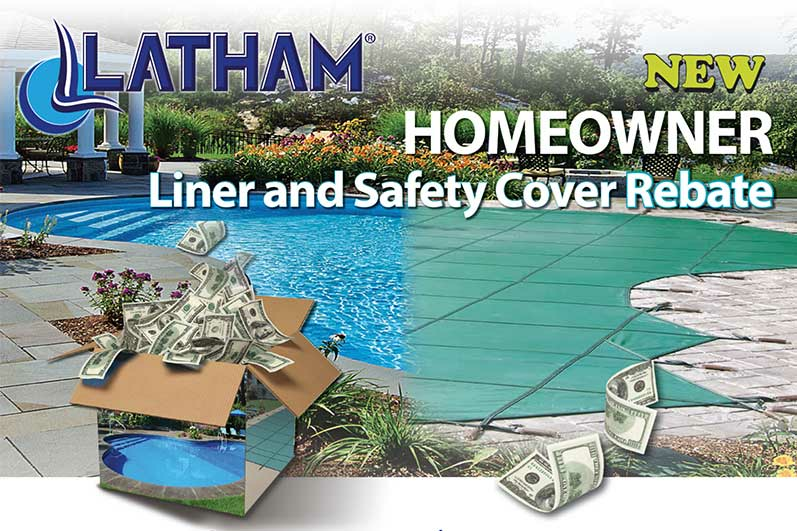 With Latham's new consumer rebate bundle package, you can now save big when you replace your inground vinyl liner with a beautiful new replacement liner... Simply add a NEW mesh or solid safety cover OR Replace your existing Automatic Safety Cover Fabric and we will send you $200! Offer cannot be combined with any other Latham Pool Products Offer. Offer is only valid for existing pool owners. Renovation rebate can only be redeemed if the homeowner's name matched the invoice and proof of residency. Offer valid on purchased and installed products between 1/1/2018 and 12/31/2018. Limit one rebate per property. Offer not valid on Latham Signature branded liners. Latham Renovation Rebate is a consumer rebate paid directly to the consumer. Please allow 6 to 8 weeks for rebate to process.